The River Journey | Just Shooting Memories! 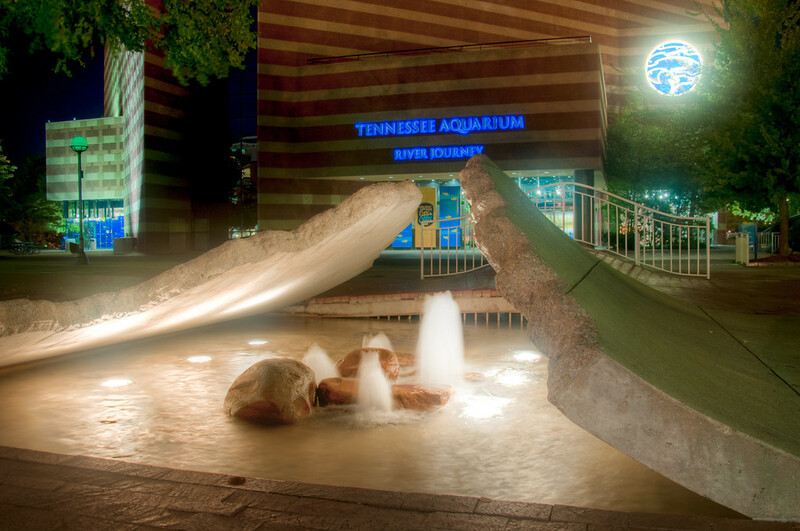 The Tennessee aquarium began with just one building, the River Journey. The building is situated so that you ride an escalator to the top and then walk down. The walk down is made so that you journey through all the different areas and ecosystems of the Tennessee River. Just in front of the River Journey building is this fountain. It attracts a lot of attention during the summer. There are kids always playing here. I was fortunate enough to get this shot late with no one around.